We’d love your help. 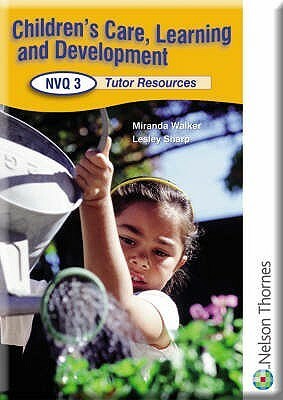 Let us know what’s wrong with this preview of Children's Care, Learning And Development Nvq by Miranda Walker. The Tutor Support CD-ROM contains print/copiable resources, including guidance notes, quiz sheets and assignments, to extend students' knowledge and understanding, plus editable OHTs and worksheets to help tutors customize the course to suit the needs of their students. To ask other readers questions about Children's Care, Learning And Development Nvq, please sign up.